The Michaela Howie playground on Oaks Avenue near The Strand in Dee Why next to the beach. This popular playground is great for little ones and we love it! It is fully fenced and shaded which are a must. It has main play structure with slides, climbing gear and a little shop. It has two sets of double swings - one for toddlers and the other one for older kids and one little toddler shop spot with dolphin springer. There are areas to sit, picnic tables and the playground overlooks the Dee Why beach which is very relaxing even when you have to push the swing a thousand times! Go for a stroll along the beach with the pram, drop by the nearby cafés for lunch or coffee and enjoy the beautiful beach and views. Bring a snack or picnic and sit on the lawns overlooking the beach. Bring your own ping pong paddle set and play at the nearby table. 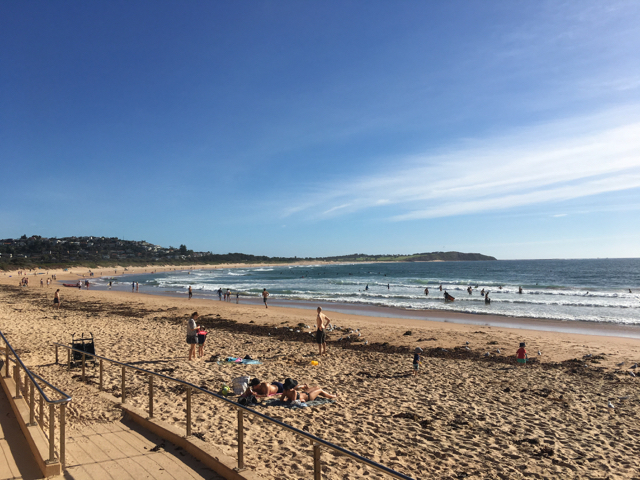 Dee Why is a nice and relaxing beach which is both family and dog friendly. We visited on a Friday afternoon, how relaxing was the view even if there was a little wind! 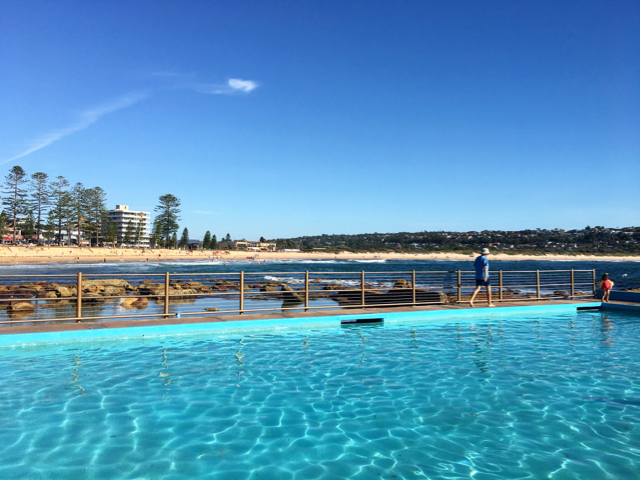 There is also a 50 metre rockpool and a cute toddlers pool at the southern end of the Dee Why Beach with access to toilets and showers. -Bring a picnic if you would like to have a picnic on the grass nearby overlooking the Dee Why beach.